When it comes to gaming, most people would argue that a desktop PC is your best bet. The performance you get and the upgradability options that come with a desktop PC are the sales factor. But, there is one area where a desktop gaming rig loses out when compared to gaming laptops. And that is mobility. What if a friend of yours has invited you to a LAN party? You cannot just unplug your desktop, pack it in a box, and arrive at your friend’s home. But, you also cannot knock at his doorstep with a shabby looking laptop which is running a five-year-old processor and an average graphics card. You need something powerful and awe-inspiring. And that is why you are here. Looking out for your new gaming laptop. One that will allow you to look down upon every other machine in that LAN party. One which every other friend of your covets. Gone are the days when you would have to trade performance for mobility. 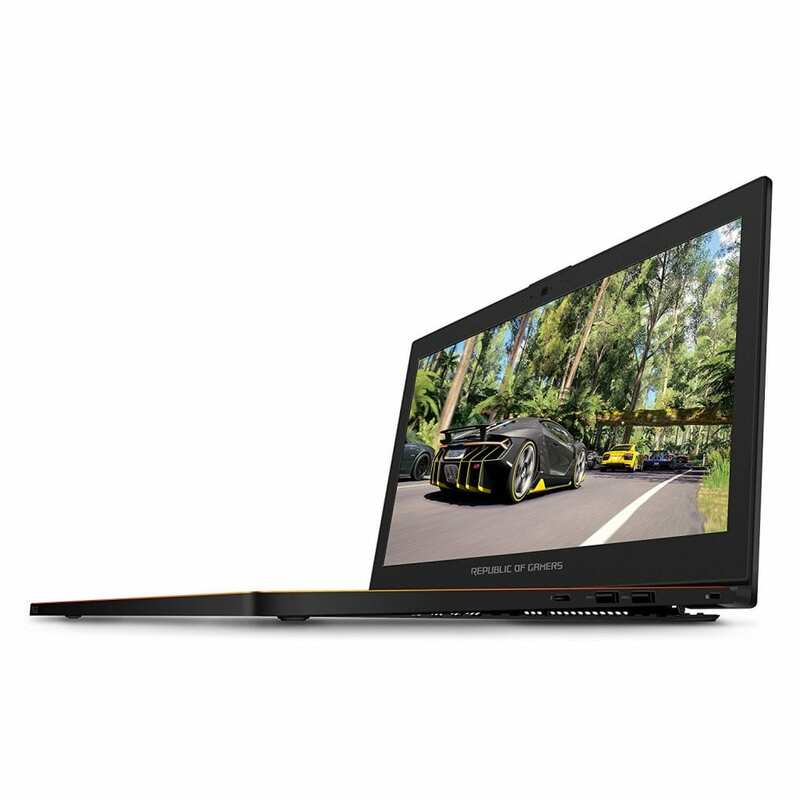 With improvements in technology, it is fairly easy to spot gaming laptops with GTX 1060s and 1070s in them. It is also possible to spot a laptop with a GTX 1080 inside it. And, when it comes to gaming laptops, one really does not care much about weight. Gaming laptops have a tendency to be on the heavy side and enthusiasts don’t really care about it. But, on the other hand, we have better heat dissipation due to improved vent designs and cooling solutions. All of this has made gaming laptops the first choice of on-the-move gamers. Another advantage of having a gaming laptop is that you can easily scale up its performance. This can be done by using an external graphics unit. These devices are popular nowadays and can easily increase the level of performance by a notch or two. They are also portable when compared to PC cases and other components. But, no matter how many advantages gaming laptops may have over desktop PCs, there is always that one disadvantage which technology has not been able to overcome yet. And that is upgradability. Because of its upgradability, a desktop PC has a lifespan which is multiple times more than that of a laptop. And this applies to high-end laptops too. We have a list of 10 best gaming laptops. These cover a wide range of budget. We have made sure to suit the tastes of gamers in the first month of 2019. Also, we can expect to see more powerful machines soon with the conclusion of CES 2019 which wasn’t long ago. This behemoth of a machine by a performance dedicated company is pretty close to the dream gaming laptop of an early 2018 gamer. They have claimed this machine to be a full-fledged desktop replacement. And that is not entirely baseless. It has got a 17.3″ display with up to 4K resolution. Yes, a 4K screen on a gaming laptop. And that is not all. The screen is a touchscreen. 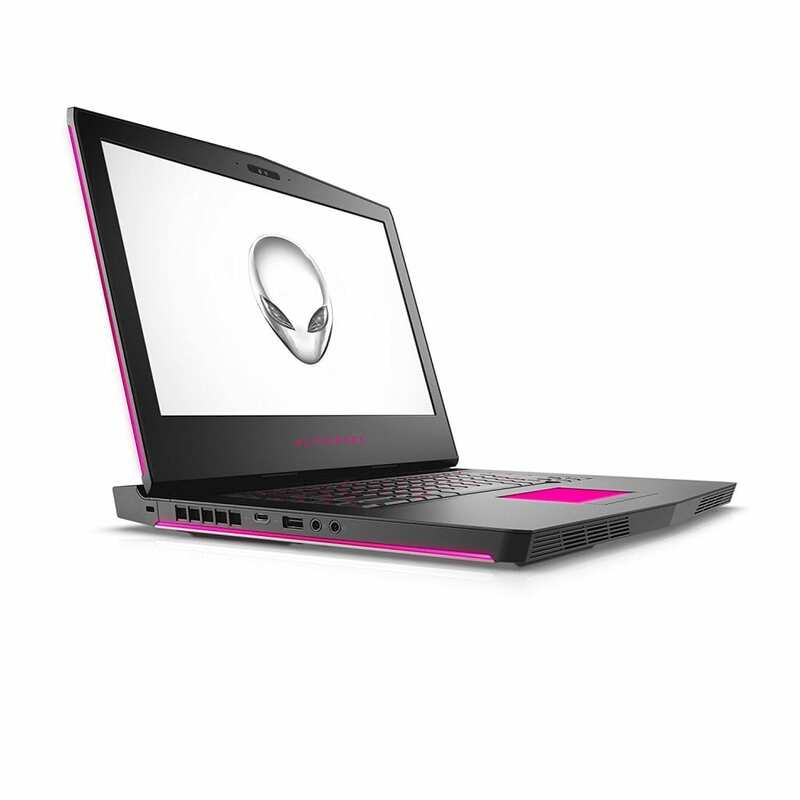 It is powered by an Intel 7th gen i7 Quad-core processor and an NVIDIA GeForce GTX 1080 with 8GB of GDDR5X VRAM. You also get a 1080p resolution machine with a GTX 1060 (6GB of GDDR5 VRAM) if you are a bit low on budget. The memory supplied is not to be looked down at all. With 32GB of dual-channel DDR4 memory with a speed of 2667MHz, Razer has made sure that you won’t need to upgrade your ram for quite some time. You can choose from various storage space options which offer 512GB, 1TB, or 2TB of M.2 SSDs in Raid 0 configuration. And to top it all off as the cherry on the cake, you get an RGB backlit mechanical keyboard. The main problem with this device is the heating issue. No matter how much of a cooling solution you provide, with a system with such high specifications, there is bound to be heating. However, the device’s design still manages to keep the temperatures from getting extremely high so as to cause throttling. Battery life is also an issue if you are doing resource-intensive tasks. One more thing to specially take note of is the position of the touchpad and scroll wheel. It can take time to get used to as the position is not conventional. Everyone knows that Asus has a ROG or Republic of Gamers line of computers tailored specifically for gamers. 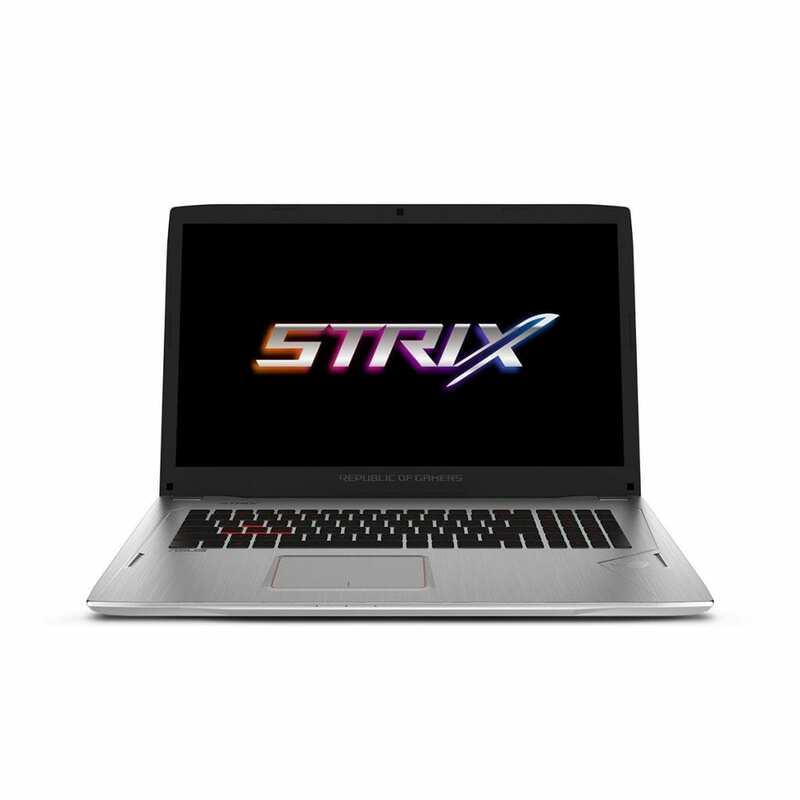 And Strix GL702VS is an impressive machine, right from the top layer of that lineup. It is powered by a 7th gen Intel Core i7-7700HQ processor. Coupled with an NVIDIA GeForce GTX 1070 8GB GDDR5 graphics memory, this machine delivers a performance which is close to a high-end desktop. It has got 16GB of DDR4 memory with the option to max out at 32GBs. Loading times are significantly reduced with a 512GB SATA SSD and storage won’t be an issue because there is a 1TB HDD onboard. All of this hardware is used to present a really immersive experience for gamers on a 17.3″ 120Hz Full HD G-Sync panel with a wide viewing angle of 178 degrees. 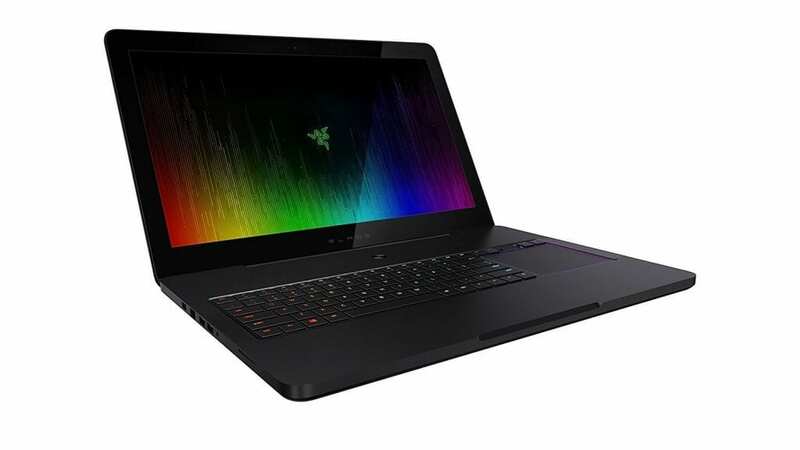 It is also a lot cheaper as compared to Razer Blade Pro. However, there is no special cooling system to take care of all the heat produced due to the powerful hardware. The cooling solution onboard does a good job of keeping the hotspots away from the keyboard but the temperatures do tend to go a bit high when used for long periods to do resource-intensive tasks. This can easily lead to throttling and choke on the performance. This may seem a bit out of place but trust us. Hp has done an awesome job with this laptop. 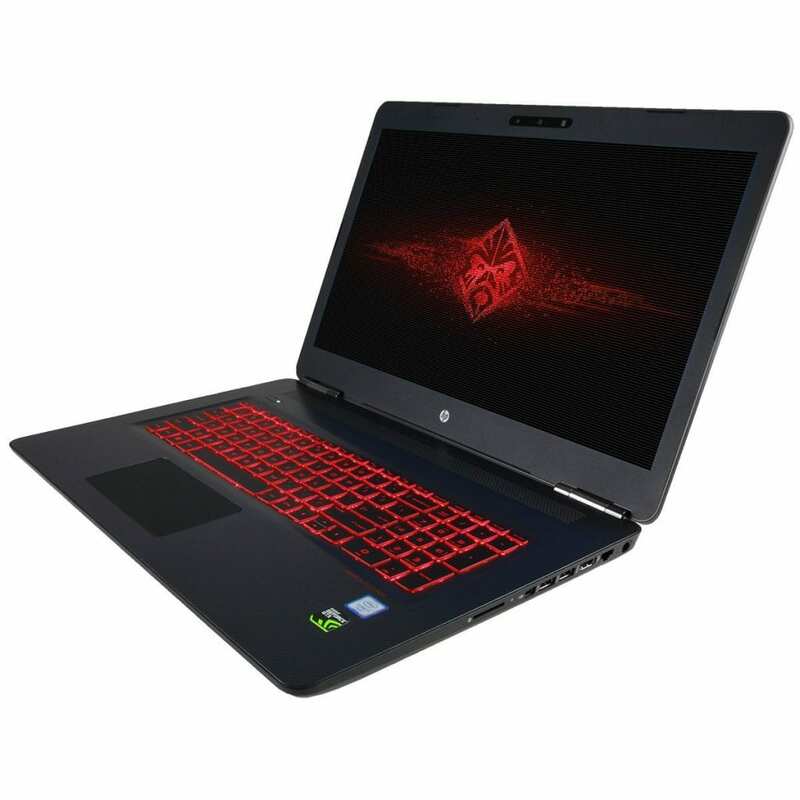 The Omen 17t series of gaming laptops from HP come with different configurations which can be configured based on one’s budget and taste. It is powered by a 7th gen Intel Core i7-7700HQ processor and an NVIDIA GeForce GTX 1070 graphics card. On the storage side, you get the option of a combined NVMe SSD and an HDD. A lower budget will get you a SATA SSD rather than an NVMe one. On the memory side, you get 32GB of DDR4 memory. One thing to take note of is that there is a Thunderbolt 3 port. All this coupled with a 17.3″ screen gives you a great gaming experience at a fairly reasonable price point. Although this machine has large vents at the back to facilitate heat dissipation, cooling is not really a forte of high powered gaming machines. HP Omen is no different than others when it comes to cooling. During high load operations, it experiences throttling due to high temperatures. It has a robust build but heating is a problem. The keyboard tends to get a bit warm but the hotspot is above the CPU and GPU. 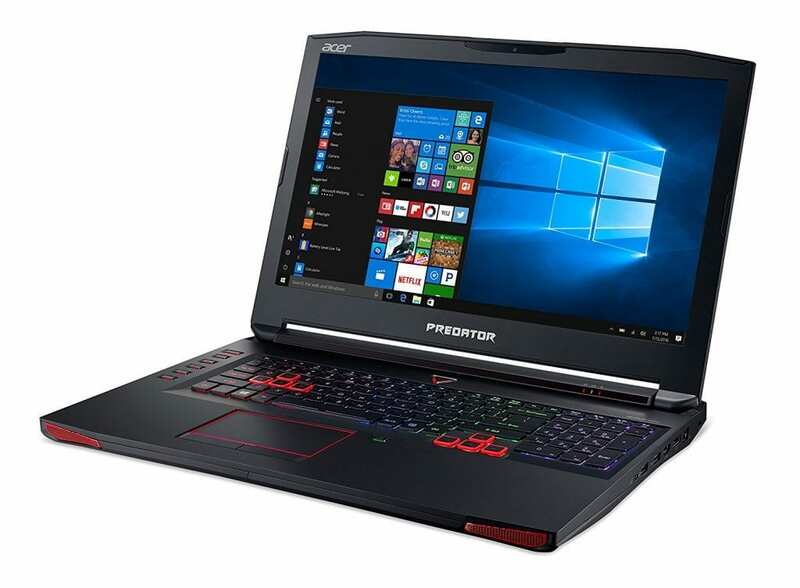 Acer’s Predator series of gaming laptops are deserving of the reputation of being one of the best gaming laptops. 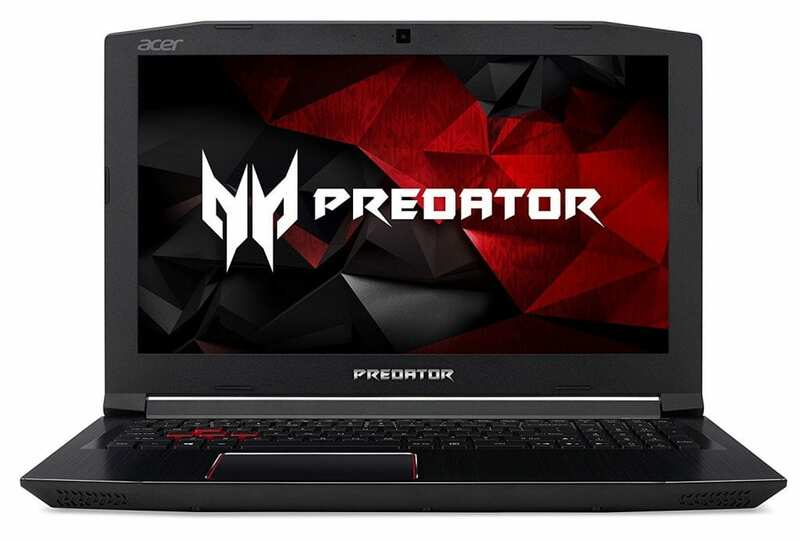 Acer’s Predator 17 comes with a 17.3″ Full HD screen with G-Sync technology from NVIDIA. This widescreen machine is powered by an Intel 7th gen Core i7-7700HQ processor which can turbo boost up to 3.8 GHz. There is an NVIDIA GTX 1070 graphics card powering the graphics end with a beastly 8GB of dedicated GDDR5 graphics memory. As compared to other machines mentioned previously on this list, this laptop is powered by only 16GB of DDR4 RAM. On the storage side, you get a 256GB and a 1TB HDD in Raid 0 configuration. The main advantage of this laptop over others is that it is comparatively cheaper as compared to others. 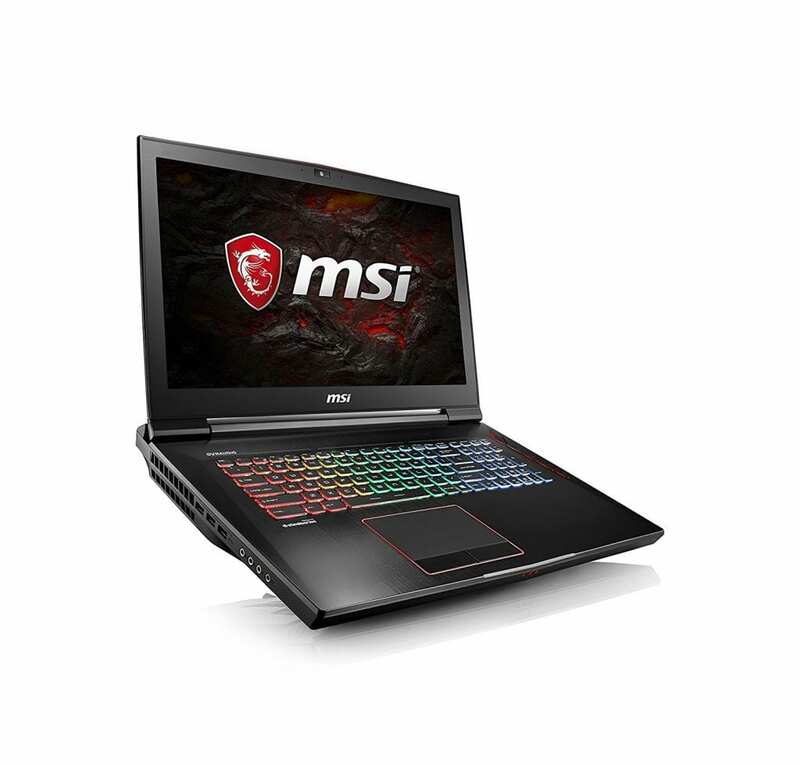 With a good all-round performance, this laptop should not fail to meet most of the needs of a gamer. But, thermals are a problem just like any other gaming laptop. Same is the case with battery life. A bit toned down version of Acer Predator 17. But, this shouldn’t be a reason to look down on this laptop. With a 15.6″ Full HD IPS display, this machine is a better travel companion when compared to the 17 inched behemoths. Powered by a 7th gen Intel Core i7-7700HQ with a base clock speed of 2.8 GHz, this machine can be overclocked to a speed of about 3.8 GHz. An NVIDIA GeForce GTX 1060 may seem to be an older card but its 6GB of graphics memory is enough to tackle modern games. You get 16GB of DDR4 memory and 256GB of SSD out of the box. These are upgradable and hence the amount of juice produced by this machine can be dialed up a notch in the future when necessary. The laptop is VR ready and the keyboard is backlit albeit with only the red color. 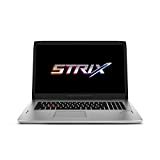 Some compromises here and there have made sure that the price of this laptop is well within the reach of many without losing out too much on the performance side. One thing where this laptop loses out is the screen. The screen is dimmer when compared to others in the market and also the colors produced aren’t completely accurate. However, that is something which can only be recognized by eyes that have experienced a lot and have detailed knowledge in the field. Others may feel only a bit of dim lighting and lighter colors. 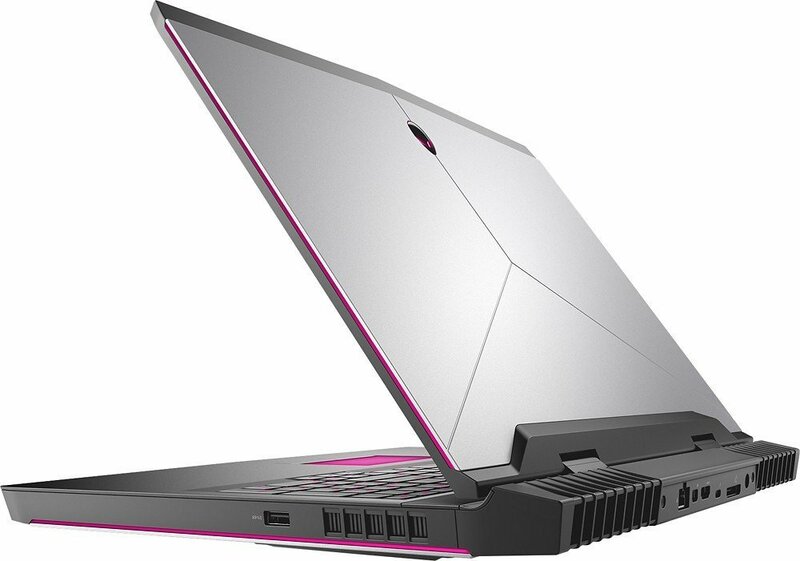 There is hardly any gamer out there who doesn’t know about the Alienware species of gaming laptops. Dedicated to gaming, Alienware machines tend to have beastly performance and are designed to represent a cult. And at the forefront of their laptop lineup is Alienware 17. The best thing about Alienware laptops is that you can configure the hardware specifications as per your convenience and necessity. The best model comes with a 7th gen Intel Core i7-7820HK processor and 32GB of 2400Mhz DDR4 memory. The processor can be overclocked to speeds of up to 4.4Ghz. It has an NVIDIA GeForce GTX 1080 graphics card with 8GB of graphics memory. The screen is a 17.3″ QHD (2560 x 1440) 120Hz IPS anti-glare display with NVIDIA G-Sync technology. It doesn’t disappoint on the storage side too. You get a 2TB PCIe SSD as your boot drive and a 1TB 7200rpm SATA 6GB/s HDD as your storage drive. There is also Tobii IR eye-tracking as an addition if you want one. The keyboard is an RGB backlit keyboard with 9 programmable keys for up to 19 different functions per application or game. But, All of this comes with a hefty weight and price tag. The younger sibling of the monster like Alienware 17, Alienware 15 is only small when the screen size is compared. You get a 15.6″ FHD display with a refresh rate of 120Hz. You also don’t miss out on NVIDIA G-Sync technology. It is powered by a 7th gen Intel Core i7-7700HQ processor with turbo boost speeds of up to 3.8GHz. You get a 16GB 2400 DDR4 memory with the option to max it out to 32GB. Storage side offers you with 256GB of SSD as a boot drive and 1TB of HDD for storage. Like others in the same league, it is VR ready. With all these hardware, it does manage to gain weight. At 3.49kgs, this machine is not at all lightweight. Although the idle temperatures are fairly cool, the machine tends to get a bit heated up with continuous high powered usage. Asus’s ROG Zephyrus is a really powerful 15.6″ screen gaming laptop. The screen is an FHD panel with 120Hz refresh rate and G-Sync technology. It is powered by a 7th gen Intel Core i7-7700HQ processor with a core clock speed of 2.8GHz. It can be overclocked to 3.8Ghz and comes with 16GB of DDR4 memory and supports up to 24GB. The graphics end is taken care of by an NVIDIA GeForce GTX 1080 graphics card which has 8GB of dedicated graphics memory. The storage is taken care of by 512Gb of PCIe SSD. There is a type 2 thunderbolt port for blazing fast transfers. Also, the keyboard is RGB backlit. This allows you to customize the lighting to your heart’s desire. The machine is also VR ready. 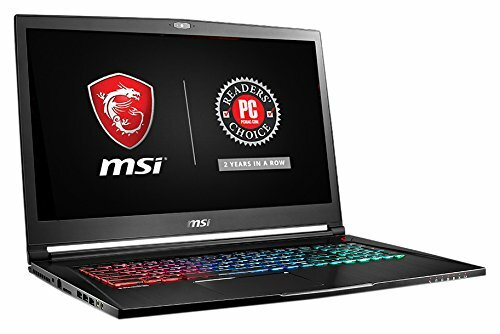 It is a bit on the pricey end but you can buy the GTX 1070 version of this laptop for 400 bucks less. The price of the 4K display version is a bit on the higher side. You can choose the 120Hz FHD display to save around 300 bucks. A bit toned down version of the above mentioned MSI beast. The MSI GS73VR Stealth Pro is a 17.3″ FHD 120Hz display laptop. MSI claims the response time of this screen to be 5ms. 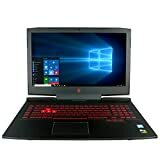 Both the processor as well as the graphics powering this laptop are a bit on the lower level when compared to the ones which power the Titan Pro. The processor is a 7th gen Intel Core i7-7700HQ whereas the graphics card is an NVIDIA GeForce GTX 1070. You get 16GB of DDR4 memory out of the box occupying one of the two slots available. The max memory capacity supported is 32GB. You get 256GB of SSD storage and also a 2TB HDD storage. The laptop is VR ready. It is also really thin and light, making it a really nice option for a portable gaming experience. The laptops mentioned in the list above are all very close to the high-end specifications available at the time this article was written. There may be better options out there depending on your budget constraints and use case scenario. Also, we have made sure to take into account the laptops that have the latest Intel 7th generation processors. Since it is not possible to upgrade your laptop processor or graphics card, the list contains top of the line options. This will enable you to tackle all the resource hungry games for a couple of years. Not only gaming, but video editing and streaming can also be done on the move. These laptops are sure to be able to deal with resource hungry tasks with ease. The only problem with some of these laptops would be the bulk these machines have.